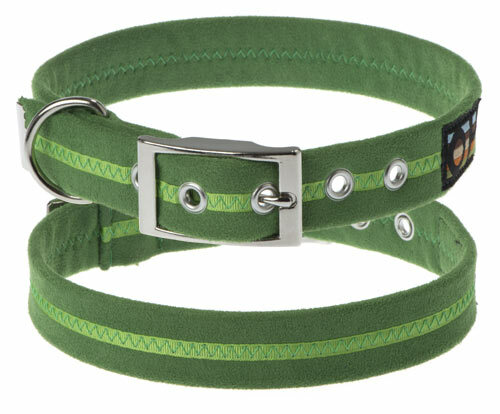 In a lush green, these soft suedette dog collars are total luxury against your dog's neck. 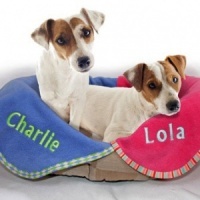 So very soft and comfortable, they make the perfect house or walkies collar. And if it gets dirty, simply pop it in the washing machine. Woof! 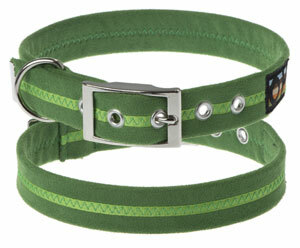 The beautiful lush shade of this green dog collar epitomises lots of outdoor fun and summer in all its glory. No matter what the time of year, it will look stunning against most coat colours. Made from the finest luxury soft suedette and furnished with a stylish, quality buckle and hardware. 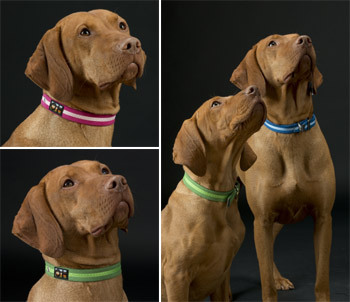 As well as being machine washable, these luxury dog collars have antibacterial and anti-dust mite properies, built into the fabric when it is woven. The fabric also has a built-in repellent, similar to Scotchgard, to protect the collar from stains and oils from the dog's coat. You are purchasing comfort and durability with timeless good looks. From the Oscar & Hooch Signature range, these super collars come in a large choice of colours that will suit any breed or coat. They all have optional leads so your dog can look smart in the matching set. This range is proudly made in Britain. 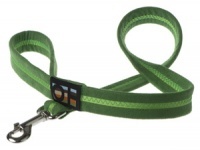 Each collar features a quality nickel plated traditional buckle, contoured for your dog's comfort, sturdy D-ring, islets and capped collar ends for that extra special finishing touch. * This is a guide only. Please measure your dog. 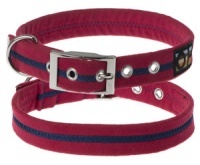 This the second of these collars we've bought, as I wanted a new colour for our Frenchie. I love the colour range. 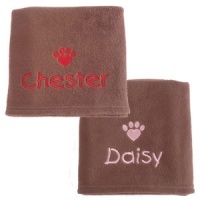 They are well made, wash very well and do not irritate the dogs neck as the fabric used is soft. Highly recommend! 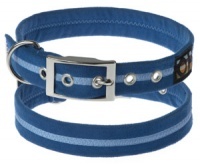 I have been looking for collars like this for so long. I have two springer x collie boys. So I needed collars that would be strong but soft as I never take them off. These are perfect. They are so soft and strong and the dogs have not scratched them up like previous collars. They look lovely and I love the fact they are made not far from home.